The Seminole Hard Rock Hotel and Casino in Hollywood, Florida has been the location for many great boxing events. Back in 2007, Samuel Peter and James Toney fought in a WBC heavyweight title eliminator at the Hard Rock, which Peter won by unanimous decision. That bout was in the Hard Rock Live Arena which had 5,500 seats and was nearly filled to capacity. Of course, things change. 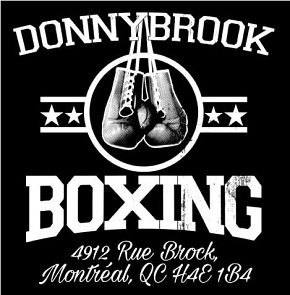 Both Peter and Toney are inactive and if they are not retired from boxing, they probably should be for the sake of their health. The Hard Rock has also changed as the outdoor area known as Seminole Paradise is currently under reconstruction. The old arena has been demolished and a new arena with 6,500 seats is scheduled to open next year. In the meantime the shows must go on as a variety of events are being held at the new Hard Rock Event Center which has 3,500 seats. Last night’s event at the Hard Rock titled “Rumble at the Rock 2” was promoted by Kris Lawrence of The Heavyweight Factory and featured a WBO NABO junior welterweight title fight. Logan “The Korican Kid” Yoon of Honolulu, Hawaii holds this title and is rated No. 11 in the world by the WBO, but is not rated by the other major sanctioning bodies. Yoon made his title defense on the day before his birthday, so he was still a teenager for one more day at 19 years of age as he faced John “El Emperador” Renteria of Panama. According to the judges’ scorecards, after ten rounds of action it was a dominant performance from Yoon. However, Renteria never seemed to be in jeopardy of being knocked down or out. Yoon remains unbeaten at 13-0 with ten knockouts, and with a computerized rating on BoxRec of No. 86 in the world. Renteria’s record is now 16-5-1. 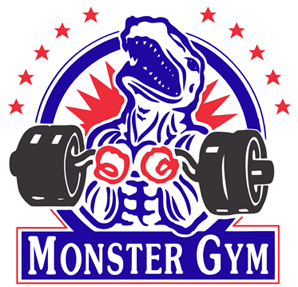 The co-main event was a more action-packed fight with two Florida-based welterweights, Livan “Machine Gun Kid” Navarro against Armando “The Gentleman” Alvarez. Navarro, originally from Cuba, out-landed Alvarez in the early rounds, but Alvarez later narrowed the gap. 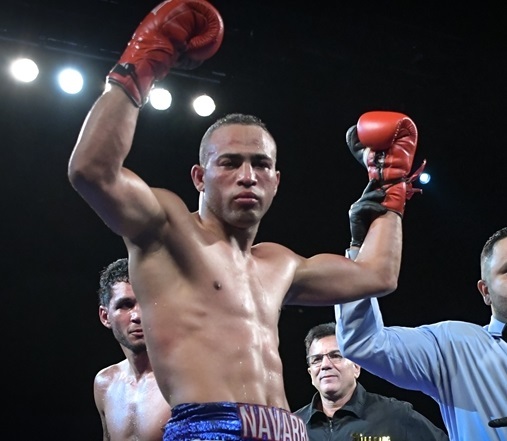 The judges’ scores after ten rounds were 98-92, 97-93, and 97-93 all in favor of Navarro who is still undefeated at 9-0 with six knockouts and a BoxRec rating of 128 in the world. Alvarez drops to 18-2. 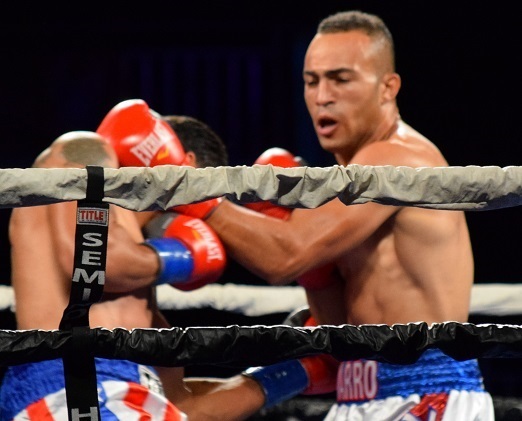 In another welterweight bout, Derrieck Cuevas of Puerto Rico faced Silverio Ortiz of Mexico. 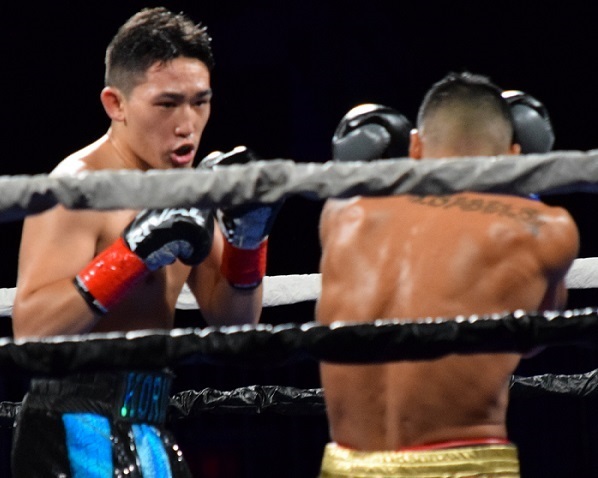 In round three, Cuevas scored a knockdown and both men connected with power punches in round four. In round seven, the referee deducted a point from Ortiz for punching on the back of the head. In round eight, Ortiz just stood there for a moment with his gloves on his hips and then unleashed bombs on Cuevas. Cuevas was fortunate to win this fight but he won by unanimous decision and officially remains undefeated with a record of 18-0-1 with 14 by way of stoppage while Ortiz is now 37-23. Navarro gets the job done. Mussa “Warrior” Tursyngaliyev fought Deivi “El Cabo” Bassa in a featherweight bout. Tursyngaliyev is originally from Kazakhstan, but now lives in Miami, Florida. Bassa is from Colombia. Tursyngaliyev was the far superior boxer and probably should have won all eight rounds against the southpaw Bassa. One judge agreed with this assessment and scored it 80-72. The other two judges scored it 79-73 and 78-74. Tursyngaliyev won by unanimous decision and remains unbeaten at 8-0 with six KO’s. Bassa’s record is now 20-6. Another featherweight fight on the card was an even bigger mismatch with Jessy “Beast Boy” Cruz of Miami, Florida and Sergio Aguilar of Homestead, Florida. Aguilar is formerly from Mexico and he quit on his stool after the third round. The official time of stoppage was 3:00 of the third round. Cruz improves his record to 14-7-1 while Aguilar falls to 2-10. In a super bantamweight bout, Jorge De Jesus Romero fought Jeno Tonte. Romero is originally from Cuba and now lives in Miami, Florida. Tonte had much farther to travel for this fight as he lives in Hungary. Tonte was taller, but that was the only advantage that he had. Romero was the stronger puncher and pounded Tonte to the body as the referee decided to stop the fight at 2:43 of round three. Romero remains unbeaten with a record of 11-0, 9 KOs. Tonte’s record is now 8-4. In the lightweight division, Dustin Arnold of Coral Springs, Florida faced Raul Chirino of Miami, Florida. It was a close match with furious exchanges. Chirino seemed to hurt Arnold in round five, but Arnold did enough to win. The judges’ scores were 59-55, 59-55, and 58-56 after six rounds. Arnold won by unanimous decision and improves his record to 6-1, 1 KO. 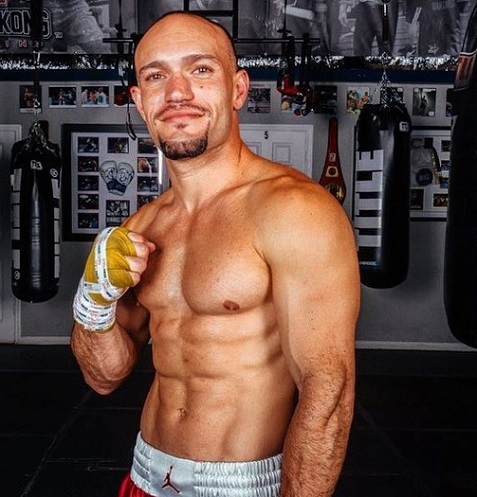 Chirino now has a record of 12-10, 7 KOs. Finally, Irosvani Duvergel fought Emmanuel Sanchez in a light heavyweight bout scheduled for four rounds. 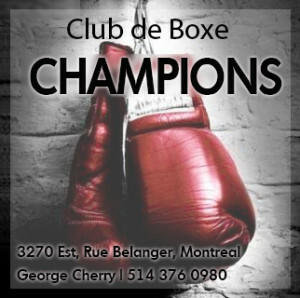 All three judges scored the fight 40-35 for Duvergel who remains undefeated at 4-0. Sanchez’s record falls to 7-10-1, 1 KO.